At SLB Pipe solutions, we offer practical and eco-friendly industrial services. We sport the latest trenchless technology to ensure that our prices remain affordable, and that our work doesn’t harm the environment or your delicate water systems. We have designed our plumbing methods to work around your needs, and we distinguish a job-well-done when your appliances are fixed quickly and functioning properly. Our technicians are here to help assess and diagnose the problem, but to also recommend prevention measures to add to your daily habits to keep your pipe systems clear. Our talented technicians never operate without fully speculating the area according to your needs. Call an SLB plumbing technician today to voice concerns and schedule industrial trenchless services. Before we operate, we use sewer cameras to inspect and diagnose the problem. Sewer cameras are devices that utilize a camera built into a cable that can be snaked down your pipes. The cable also has LED lights that aid in the projection of your pipe’s interior components onto a screen. The technician is able to see the insides of your pipes on the screen, find the problem, and make an assessment on further action from there. Sewer cameras help lower the cost of your plumbing bill by finding the primary source of the problem, rather than blindly pouring harmful chemicals down a drain in hopes to eliminate an obstruction. Hydro jets are devices that blast water through your pipes in order to remove clogs or buildup within your pipes. This powerful form of hydrotherapy is only used when the problem at-hand is diagnosed through a thorough assessment. A technician is able to calculate and monitor the water pressure exerted through your pipes. Hydro jets are useful for eliminating simple clogs as well as for annual cleans to keep your pipes clear. Sewer camera inspections are usually a first step before hydro-jetting. Microtunneling is a trenchless method that is used order to minimize the disturbance of land during pipe installation. Microtunneling is used in times where environmental caution is dire, and is especially popular in industrial pipe installation and repair. Small tunnels are bored into the ground, and pipes are inserted into the shaft. The tunnels are minimal, calculative, and never overdone. Call SLB Pipe Solutions For High-Quality Trenchless Services Today! At SLP Pipe Solutions, we work hard to keep all our customer’s drain pipes clear. If you require our assistance, don’t hesitate to call our team of experts today for more information. We will do our best to prioritize your needs and to not leave the environment out of our concern. Contact us today if you are interested in quality services for your industrial needs. We look forward to working with you. Do you have any question or feedback, feel free to contact us. Please find all of our contact info on right panel. We will get back to you as soon as possible. If you have an emergency plumbing need, simply call our 24 hour emergency plumbing. 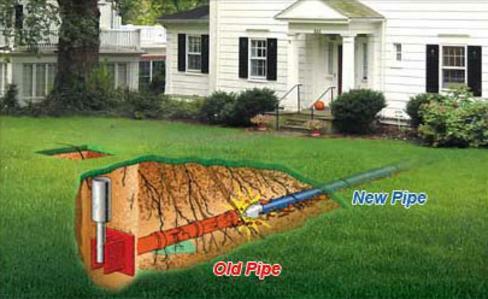 At SLB Pipe Solutions, we are a full-service trenchless pipe repair company based in Indianapolis, Indiana. If you are having problems with your sewer or drain system, we can use a variety of services to repair, replace, and restore your pipelines to their former function. Copyright © 2019 slbpipesolutions.com. All Rights Rserved. Design by Fuel Rocket. SEO by Trenchless Marketing.